Very slow, no enough chairs in the wheel, VIP dinner cabinet make it very boring, I didn't like it at all. We enjoyed going on the Giant Ferris Wheel, although if I had known earlier I might have gone for the Dining Car option. This would be different for a couple celebrating an event such as Anniversary etc. 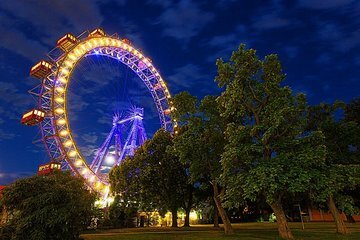 Every visit to Vienna must include a trip on the famous ferris wheel. I did it in the dark and it was amazing. Try and go with a group of friends for a truly memorable experience.